Born in a village in the dark heart of India, the son of a rickshaw puller, Balram is taken out of school and put to work in a teashop. As he crushes coal and wipes tables, he nurses a dream of escape. His big chance comes when a rich landlord hires him as a chauffeur for his son, daughter-in-law, and their two Pomeranian dogs. From behind the wheels of a Honda, Balram sees Delhi and begins to see how the Tiger might escape his cage. For surely any successful man must spill a little blood on his way to the top? 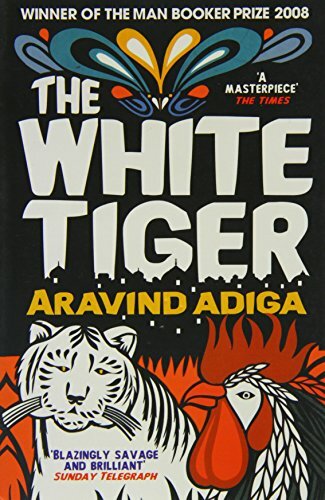 The White Tiger is a tale of two Indias. Balram's journey from the darkness of village life to the light of entrepreneurial success is utterly amoral, brilliantly irreverent, deeply endearing and altogether unforgettable. Aravind Adiga was born in Chennai in 1974. After studying English literature at Columbia University in New York and Magdalen College, Oxford University, he worked as a journalist: his articles have appeared in the Financial Times (U.K.) and Time magazine. He lives in Mumbai, India. The White Tiger is his first novel.